The old Lookout Hill platform was once a location to keep watch for incoming war ships. Today, it sits atop the hill as nothing more than a cement foundation, but from this vantage point you can see the whole island. As you look out on the bay toward Nashawena or back toward the mainland, it’s easy to imagine yourself as an essential part of the long and critical history this spot represents. Accessing a footpath from Lookout Hill (above), a short walk leads to another observation platform overlooking the west end of the island. This is an inspiring spot to catch a sunset or watch the shellfishing activities in the shallows below. The Gosnold Monument, erected in 1902 to acknowledge the tri-cenntenial of Bartholomew Gosnold’s discovery of the island, punctuates the view. Pull up to the Cuttyhunk Fish Pier for a delicious bite to eat and some friendly local color at Cuttyhunk Cafe. 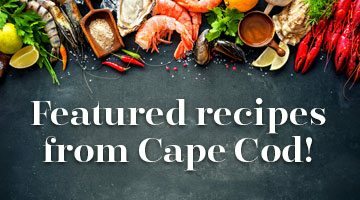 From warm, fresh donuts in the morning—as early as 5 a.m.—to an unbeatable classic lobster roll for dinner, this well-kept secret serves everything with unparalleled island charm. Who doesn’t love fireworks? Cuttyhunk’s annual display happens this year on the first weekend in August. Another prime event for this small island? Cuttyhunk’s 22nd Annual Fishing Tournament will take place at the end of September. Limited to 100 competitors, this shore-only tournament includes everything from surf casting to fly fishing and lasts for 24 hours, followed by an awards cookout with live music.